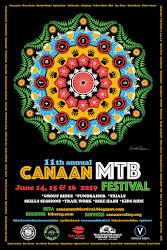 This is the 11th annual Canaan MTB Festival. 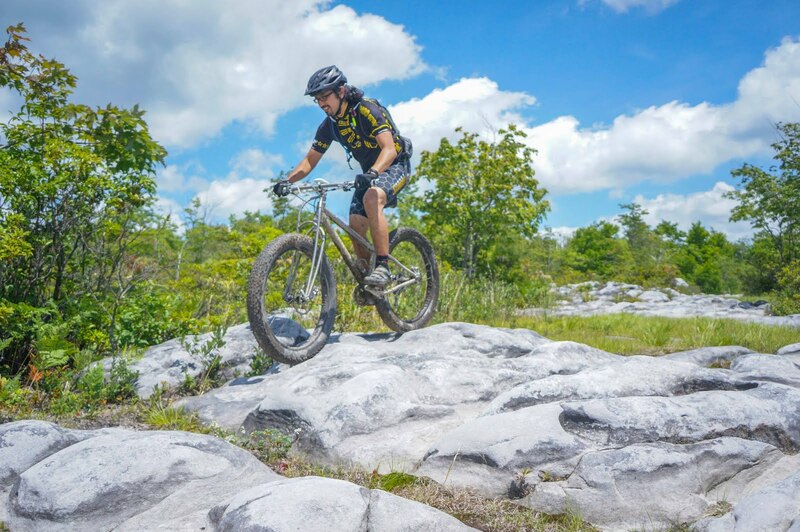 This is a recreational event to enjoy mountain biking and encourage the sustainable growth and maintenance of the trail network in the Canaan Valley area and welcome mountain biking visitors to Tucker County. 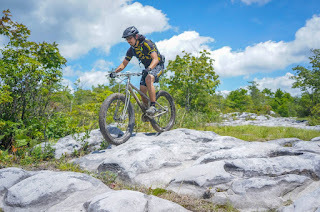 Events includes group rides,Trials, , bike hash, Skills instruction for men and women with a catered lunch and a VIP Blackwater Bicycle Association Fundraiser party. This event hopes to raise awareness and money for the local IMBA bike club, Blackwater Bicycle Association (BBA). Please come out and enjoy the beauty of mountain biking at 3200+ft at this special place in West Virginia. Please park at the old hotel/gas station across from Shop N Save, Driftland Sports or by Blackwater Bikes. Please do not park in front of local businesses all day while you are out riding. Respect the mayor and his request. Thursday June 13 Ride at Five This is the local weekly group ride out of Blackwater Bikes. It is not an official Festival ride, but it is a social ride with different groups going out. Informal Party at Hellbenders Burritos after the ride. Then to Stumptown Ales for delicious IPAs. Friday June 14 offers skills instruction by certified mountain bike teachers and lunch at Blackwater Falls State Park. We will meet at the pavilion across from Pendleton Point parking in Blackwater Falls State Park at 9:00. This is a four hour session with a catered White Grass lunch at 1:30. There will be one men's group,one coed all levels group and a beginner, intermediate and advanced women groups. You will sign up for your groups by level . Fee is $70. Saturday June 15 Free Group Rides led by locals. Eight unsupported rides will be offered this year. The purpose is to have fun, look at the scenery, talk to each other and ride trails! These were the 2018 ride options. 2019 ride options are still being formulated. WOMEN'S RIDE: Ride Leader: Local Phd, Amy, and friends will show the ladies around some near by trails. There are options for shorter and longer routes. This is a friendly, supportive ride. Prepare to giggle! Meets at 10 at Blackwater Bikes and lasts 2-3 hours. VES Adventure Ride: Ride leaders: Sue Haywood and friends. This is the long ride that covers both challenging singletrack and fire roads. We will be determining the route soon, but it will be a nice long day in the woods. This ride meets at 9 and starts promptly at 9:30 at Blackwater Bikes. This is a great way to connect singletrack and see all of Canaan Valley. This ride moves slow...lots of stops and chatting. Saturday night June 15 is a VIP Blackwater Bicycle Association FUNdraiser Party at 6:30 at Wicked Wilderness Pub and Parlor in Davis. This year the Tom Batchelor Band will play dance tunes after the raffle. Party, mingle, eat, enjoys spirits and support our local IMBA chapter: Blackwater Bicycle Association Cost is $40. Please sign up on Bikereg to help us adequately prepare. Kids and Family Ride at the Davis City Park 9:30am at the Pavillion in the Davis City Park on the banks of the the Blackwater River. Ride leaders : Meredith Erlewine and Sue Haywood are experienced skills instructor and Rob Stull, owner of Blackwater Bikes and Jess Tucker. After a mini-skills clinic, a fun trail ride with plenty of stops lasting up to 2 hours depending on the ages. A parent must accompany their child on this ride and provide trail snacks and water. 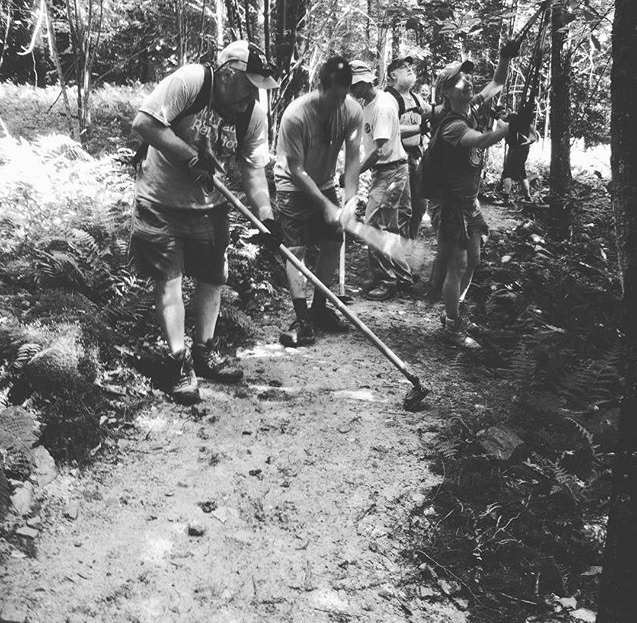 TRAIL WORK at 9 am, on the green Flow trail at the Thomas City Park Trails. 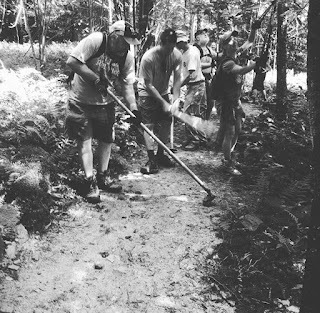 Join owner of Appalachian Dirt, Zach Adams, to work on a section of this latest Tucker County Trail. Meet at trailhead and park on the upper parking lots. Sunday June 16 Bike Hash at 1:15 pm at Blackwater Bikes ready to ride. This is a fun event where the Hounds try to catch the Hares through a series of clues and markings. The local mtb hares are fast and the cleverest bunch around.Try and catch them or just enjoy the route. This year we will be adding a new twist, too! Cost is $10 cash and includes beverages and Sirianni's world famous pizza and traditional Hash songs.